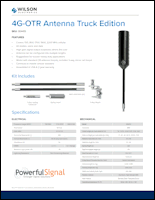 Includes Wilson’s new, modular OTR truck antenna (304415). 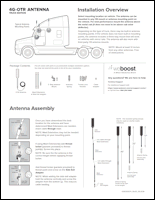 weBoost’s most affordable 4G cell phone signal booster for OTR trucks and commercial vehicles. 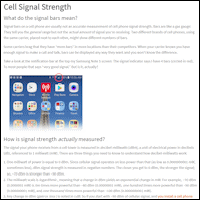 Boosts 4G LTE and 3G service for voice, text, and data to any phone or cellular device. 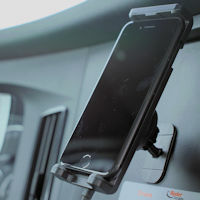 Boosts cell signal for one device in the cradle, including smartphones and Wi‑Fi cellular hotspots. 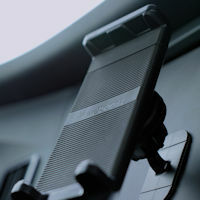 The weBoost Drive Sleek OTR cell phone booster provides up to 32 times stronger cellular signal on the road at the best price point, helping you stay connected with the company dispatcher, other drivers, and your family. 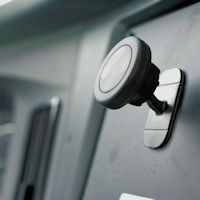 The Sleek OTR will decrease the number of dropped calls, undelivered texts, and missed email messages. 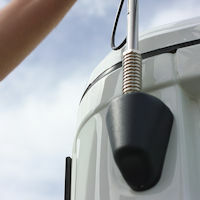 Keep your data moving faster in areas with weak cell service, obstructions, and long distances from cell phone towers. 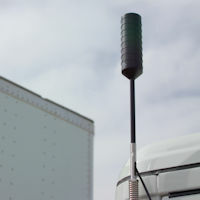 A new trucker antenna with a choice of spring-mount or side-exit cable adapter. 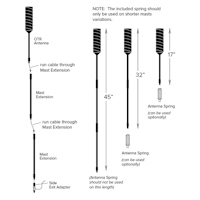 This antenna includes two mast extensions that give you a choice of a 17-inch, 32-inch, or 45-inch mast height. 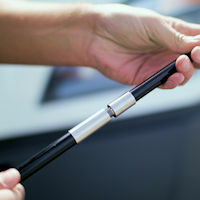 Easy-to-attach cables with click-lock SMB connectors. 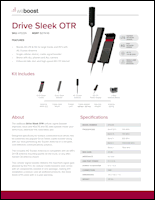 Who is the weBoost Drive Sleek OTR for? 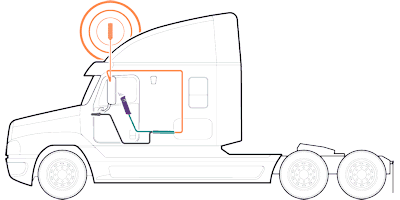 Long-haul truckers whose routes take them through areas with spotty cell service. 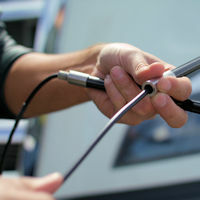 RVers who travel to remote areas (lakeside, national parks, rural areas). Please note: The Drive Sleek OTR’s booster includes 15 feet of attached RG58 cable, packed for shipping in a coiled loop with two VELCRO® cable ties. 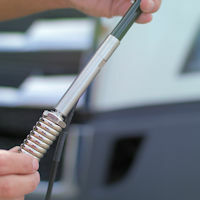 To prevent impedance leading to loss of improved signal, Powerful Signal recommends that you do not leave this (or any other) cable in a coiled loop while the Drive Sleek is being used. 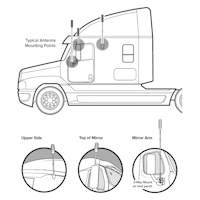 Using Wilson Electronics’ patented SmarTech III® technology, the Drive Sleek OTR receives the outside cell signal, amplifies it, and redirects it to the cell phone or other cellular device mounted in the Sleek cradle. This allows you to travel farther away from cell towers while staying connected. The weBoost Drive Sleek OTR works with all major wireless carriers, including Verizon, AT&T, T‑Mobile, Sprint, U.S. Cellular, and most others.